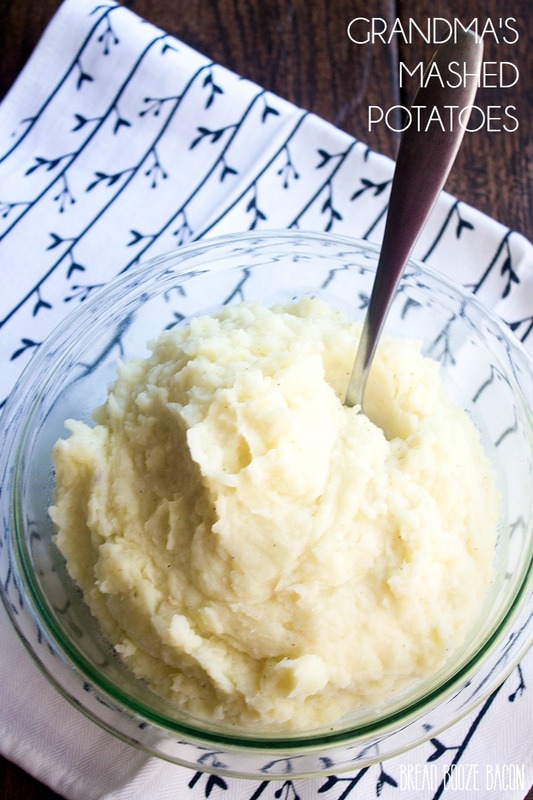 Grandma’s Mashed Potatoes are a classic side dish that takes me back to my childhood! This recipe has only 5 ingredients and is pure comfort food! 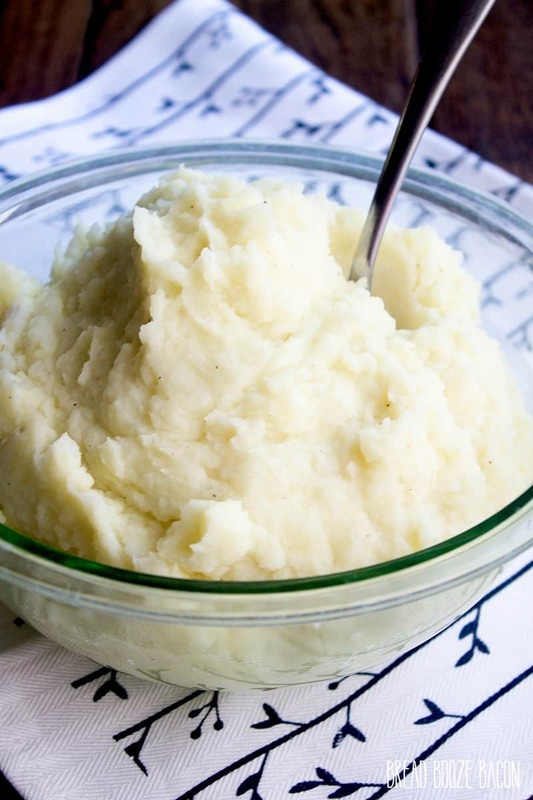 Mashed potatoes are one of my all-time favorite side dishes. I’d even venture to say this is the case with most Americans. They’re pure comfort food and, for me, always invoke family dinners. When I was little, my dad would take me over to my grandma’s house on Sundays for family dinner. She would make fried chicken, white corn bread, creamed corn, greens, and mashed potatoes. It was the best! 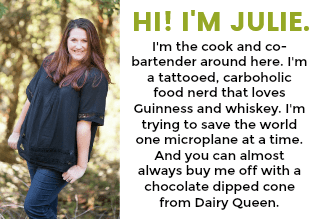 I grew up helping in her kitchen and it has how I learned food could mean love. Grandma’s been gone for some time now, but I have never forgotten those special dinners. I didn’t really start cooking for myself regularly until my mid-twenties. I moved out of my parents’ house (again) and was living with friends. We’d take turns making dinner and I loved it. After years of cooking for myself, friends, and my family I took the leap into hosting Thanksgiving dinner at our house. The first year I was super nervous about cooking the turkey, but I made all our favorite sides, including these potatoes, and the dinner went off without a hitch. Magically. Two years ago I hosted my dad for the first time ever for Thanksgiving. My step-mom was visiting my sister in California and there was no way I was letting him sit at home alone. He played with the boys while I cooked, and comment on the smells. Dad had the same love of mashed potatoes as me (probably where I get it from), so I made him taste test the potatoes when they were done. And then I got the biggest food compliment of my life. Dad told me my mashed potatoes were just like my grandma’s. The perfect texture and taste. I was floored, and I’ll never let go of that moment. I felt like I had finally arrived as a cook. So for those expecting some life changing variation on a classic, I’m sorry to disappoint. These potatoes aren’t anything fancy. 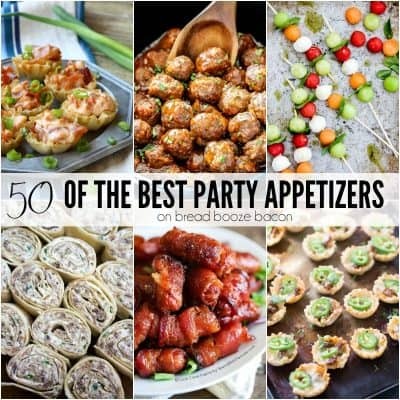 They’re just damn good and a family favorite at my house. I hope you love them as much as we do. 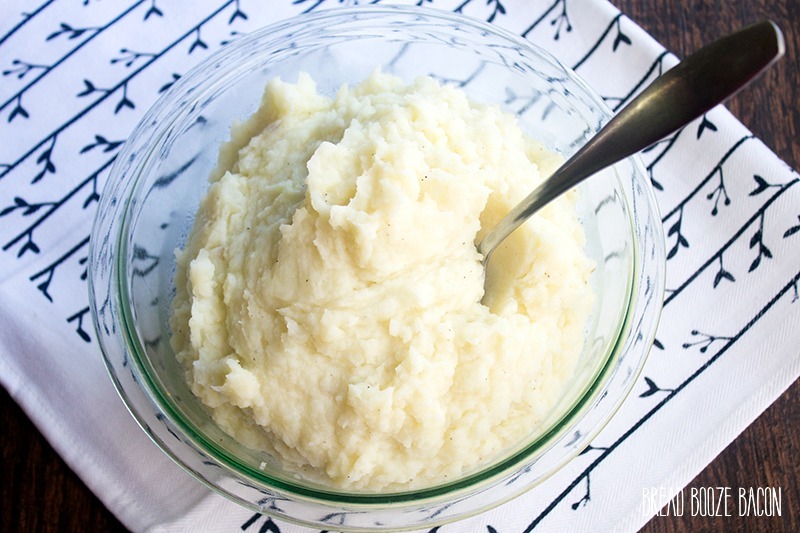 Grandma's Mashed Potatoes are a classic side dish that takes me back to my childhood! This recipe has only 5 ingredients and is pure comfort food! Fill a large pot 3/4 of the way full with water. Bring to a boil over high heat. While the water boils, peel the potatoes, rinse them, and cut each potato into 1/2-inch cubes. Season with salt and pepper and mix to combine. You're welcome to add a little more milk if you feel your potatoes aren't creamy enough. Season the potatoes to taste. The salt and pepper amounts listed are how I like my potatoes.